Geographically the area is quite flat, with very few hills existing in the mission. There is, however, a high concentration of water; canals are also a common occurrence. Much of the Netherlands was destroyed during WWII, leading to a very modern, neat, and orderly look due to its recent reconstruction. Houses and other buildings are also closer together than one might be used to seeing. The official language of the Netherlands is Dutch, though the language Frisian is also an official language in the northern area of Friesland. Learning a foreign language is a common practice in the Netherlands, and many citizens are also able to speak English or German. Over 50% of the country’s population does not adhere to any religion. About 24% of the population is Roman Catholic, while another 15% are Protestant and 5% are Muslim. Some religious traditions are still popular today, such as Easter bonfires. Other traditional celebrations, such as the feast of Sinterklaas (many aspects of Santa Clause come stem from the Dutch Sinterklaas) and the King’s Day feast are also popular. Shaking hands when greeting someone and maintaining eye contact during a conversation are both considered important elements of politeness in Dutch culture, though other types of physical contact are very limited. The Netherlands has a history of producing talented scientists and artists, such as Vincent Van Gogh and Rembrandt van Rijn. Classical and folk music continue to have followings, though rock, electronic, and hip hop are also popular. Soccer is the most popular sport in the Netherlands, while field hockey and tennis are also popular. Dutch dinners usually consist of large portions of potatoes and other vegetables served with smaller helpings of meat or fish. Lunches are usually lighter meals involving bread, cold cuts, and other toppings. Pea soup and other stews are often served at meals as well. Fries served with sausages, doner, or other types of meat are popular fast food items. Several types of pastries and biscuits are also popular treats. Religion in general is less common practice here than in other areas of the world. The mission consists of four stakes, some of which are only comprised of branches. Being a member and a missionary requires an acceptance of being a large minority; however, such few members also brings a much stronger appreciation for the church, its culture and the members themselves. Being a member is undoubtedly difficult, due to the distances between members and to church, but those that persevere and worship develop strong testimonies of the gospel. Indonesian food, such as Nasi and Bami, Surinamse food, Turkish food, and Dutch food, which is mostly meat with potatoes and soup, are highly prevalent. One of the greatest experiences of being a missionary is the ability to meet people from all over the world, and you will experience a variety of cultures through the food alone. 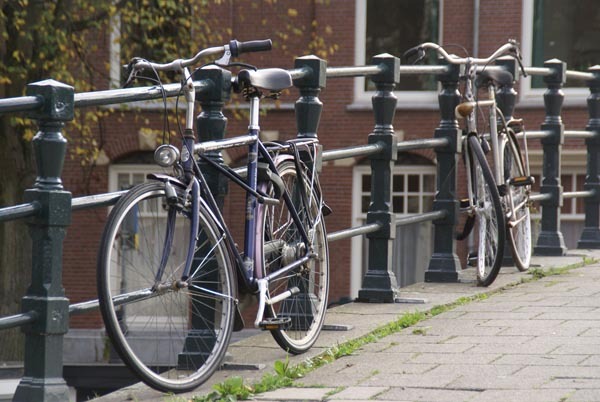 The Netherlands is the best bike-friendly country in the world, encouraging everyone to ride bikes, including missionaries serving in the region. Public transportation is also commonly used, as it is very reliable and efficient. No specific safety precautions are needed for this area. A level head and diligently obeying the mission rules will be sufficient to remain safe. The general “melting pot” of cultures creates for a wide variety of customs. The big holiday in the area is Koningsdag, or King’s Day, which is celebrated on the 27th of April and is in honor of the monarchy. It is traditionally celebrated with a nationwide flea market and “Orange Madness,” where people dye their hair orange, wear orange, and eat orange food in honor of the House of Orange. Like all areas, much of the lingo is influenced by the people and cultures that live there, and since this area is such a mix of cultures, it can create slang from a lot of different origins. A few common phrases are “tot ziens,” (meaning “goodbye”- traditionally it is considered bad luck to not say goodbye when leaving somewhere, even a public area), “ik heb uw hulp nodig,” (meaning “I need your help”), and “ik drink niet,” (meaning “I don’t drink”). 250 days of the year will be wet, so a heavy duty raincoat that really repels water is an absolute essential. *What advice would you give to someone going to the Belgium/Netherlands Mission?